HostGator is an international web hosting provider with clients in more than 200 countries around the world. Their dedicated staff of more than 750 employees is happy to provide you with shared hosting, VPS, dedicated servers, and even reseller service options. HostGator is based in Houston, Texas and has been in business since 2002. Whether you’re a beginner or a seasoned Web pro, HostGator has a plan and service options that are right for you. Customer service is at the heart of HostGator’s shared hosting services. All shared hosting plans come with a 99.9% uptime guarantee, unlimited bandwidth and storage space, and unlimited sub domains, FTP accounts, and e-mail accounts. Plus, the owner of the company guarantees his personal support if it’s ever necessary. If you believe a support ticket is not being handled properly, you can send it directly to the owner and he will handle himself. Shared hosting also provides users with an intuitive and easy to use control panel, free site building tools, thousands of pre-made web site templates, free scripts, domain name transfer and other DNS services, and much more. HostGator offers 24/7 support via telephone, live chat, and ticketing system, plus an online “library” consisting of hundreds of videos and articles, and a discussion forum. And the icing on the cake is that all of this comes with a 45-day money back guarantee. All shared hosting plans include additional pricing for 2-year, 1-year, 6-month, and monthly options. HostGator offers Linux VPS hosting plans utilizing Dell Power Edge servers. VPS plans are customizable and scalable, giving you full root access and the ability to run anything in a virtual environment that you’d be able to run on a dedicated server. All VPS plans include CentOS Linux (32-bit and 64-bit), unlimited domains and sub domains, unlimited e-mail accounts, private name servers, off-site backups, and the VIRTUOZZO Power Panel. You’ll be able to install dozens of site builder applications and customize them to your specifications, and manage it all with the optional cPanel control panel. HostGator’s VPS supports popular platforms like FFMpeg, MySQL, Perl, PHP, Python, and Ruby on Rails. And for your peace of mind you’ll be able to count on uptime with HostGator’s six different bandwidth providers, full redundancy, a state-of-the-art data center, and multiple security layers. Throw in 24/7 support and server monitoring, and you’re good to go. HostGator is proud to provide both Linux and Windows-based dedicated servers. They offer a fully managed dedicated server program which includes free cPanel/Plesk and management services worth more than $100. HostGator’s dedicated servers provide both 32-bit and 64-bit capability, full root access, free billing and client management software, site building accounts for your customers, free Enom reseller account, and thousands of website templates. Naturally, you also get support for MySQL, Apache Web Server, and more. Since databases are such an important part of today’s Internet, HostGator has you covered there is well. You’ll get unlimited MySQL databases with phpMyAdmin access; you’ll also enjoy CPAN, Curl, GD Library, and Image Magick programming modules, Front Page extensions, SSH Access, and programming languages like Perl, Python, CGI, PHP, and Ruby on Rails. All of this comes with HostGator’s 24/7 security, system monitoring, and technical support. All dedicated server plans include free cPanel (Linux) or Plesk (Windows). Customer service and technical support are HostGator’s strong points. They provide 24/7 support via telephone, live chat, or ticketing system. As mentioned, the company even promises customers that they can contact the owner directly, via their ticketing system, if they are unable to find a resolution to their problems through the regular channels. A sampling of the dozens of customer reviews shows only a small portion (20%) with complaints about customer service and support. Overall customer reviews complement HostGator with the glowing comments about how all of their problems are solved quickly, the fact that their tech support personnel is knowledgeable, and that they’ve enjoyed in nearly 100% uptime over many years as customers. Overall, it’s not hard to understand why HostGator is the home of more than 5 million websites around the world. Their pricing packages are extremely affordable, their technical support and customer service has won numerous awards, and the owner of the company is personally involved in day-to-day operations. For all these reasons, they deserve 4.5 stars on 5. 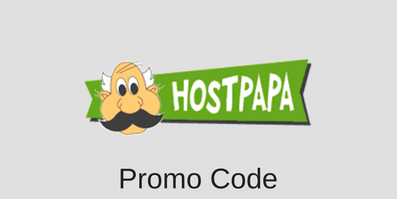 HostGator offers an impressive range of hosting options. It is ideal for new website owners, as you can start with a small hosting plan and upgrade to a more comprehensive plan as your site grows. For additional information about the features offered by this web host, visit HostGator.com. This entry was posted in Web Hosting Reviews on July 1, 2011 by WHR. Hi All, After procrastinating for ages, I decided to sign up with HOSTGATOR and set up a blog site. The entire process was confusing and I was presented with a host of “additional” options (without a good explanation of what they entailed and why it was good to have them). I am an IT Project Manager so I am not entirely new to technology and I certainly understand user support issues. When I finished I could not access the WordPress site and after getting help was told it would take 48 hours to get access. A domain registration issue issue was the problem apparently. Later that night I received the following request. “Thank you for your recent purchase with HostGator.com. In order to finish provisioning your account, we will need you to verify your purchase. Because your payment was made with a credit or debit card, we will need a scanned copy or photograph of the account owner’s government-issued photo ID, such as a drivers license or passport. Please make sure all of the edges of the document are visible and that we can clearly see the photo, id holder name, and expiration date in their entirety. If the account owner’s government-issued photo ID is unavailable, you may alternatively provide a bank statement showing the original hosting payment, the card owner’s name or the last 4 digits of the card used. Please include the requested documentation in an attachment in response to this email. Now HOSTGATOR has a money back guarantee. So I called to cancel the account. The Customer Service Rep could not confirm what amount would be refunded and what services would be cancelled. She told me that the “Billing Department” would handle it and they would only deal with me by email (after 24-48 hours). I am completely annoyed at such poor service and restrictive, necessary practices.